​Moxie is a North Carolina band based in Greensboro/Winston-Salem that plays the best of classic soul, R&B, funk, and pop music. 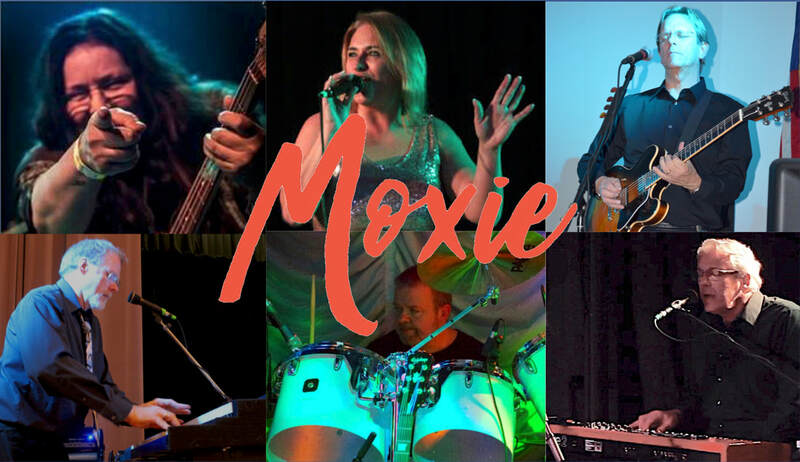 If you like artists like Aretha Franklin, Gladys Knight, Tina Turner, and Linda Ronstadt, then Moxie is the band for you. Our playlist is packed with songs that people know and can sing along with, and is designed with one goal in mind – to keep people on the dance floor having a good time all night long. Featuring Staci McBeth's powerful vocals, three-part harmonies and a tight, high-energy rhythm section, Moxie's sound blends a funky and soulful groove with a rock attitude. Check out our short introduction to the band, featuring music recorded live in February, 2019. And here's a YouTube video with excerpts of a live performance recorded by a friend in July, 2018. ​to make music this good!